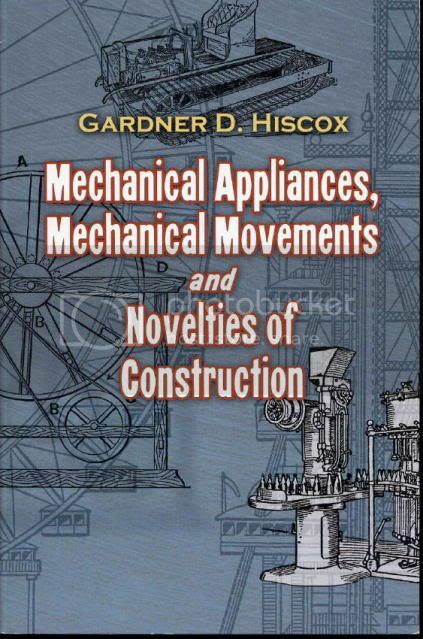 To his other book, 1800 Mechanical Movements, Devices and appliances. It again covers over 1,000 items dealing with everything from Mouchot’s Solar Boiler, to Kipp’s type revolving engine and all manners of steam engine valves, governors and other interesting and unique equipment. * Gas and Air-Gas Devices, Etc. * Navigation, Vessels, Marine Appliances Etc. * Road and Vehicle Devices, Etc. * Motion and Controlling Devices, Etc. * Horological Time Devices, Etc. * Mill and Factory Appliances and Tools, Etc. * Textile and Manufacturing Devices, Etc. * Engineering and Construction Etc. For the Smithing and Machine people there are enough ideas and interesting things to keep your imagination in over drive. It is the type of book that can be picked up and put down at any time.